What The Future Holds for Simulation Games? Article - Virtual Worlds Land! What The Future Holds for Simulation Games? Rate this Article How does the future look for virtual world simulation games? Simulation games have a certain kind of charm to it. Perhaps it’s the fact that it imitates a real world but puts its own twist to the simulation. For others, it’s a world that they can call their own – a world that they can shape to their expectations and their preferences. After all, virtual world sims and management games like My Sunny Resort allow you to create your own world the way you see fit. 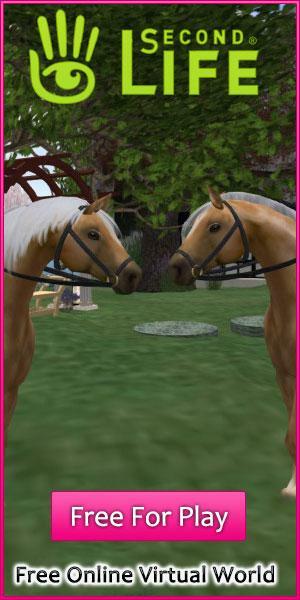 Other virtual world simulators, like the highly popular Second Life, allow you to assume an alter ego, a secret personality, in the wide expanse of its world. You can be anyone you want to be in these worlds – you can be Batman, or you can be the Joker, no one will stop you. Second Life, and others of its kind, also hooks you up with people who are of like mind as yours. You can create an avatar that you think represents the ideal you, and use that avatar to go around the world and interact with its netizens. You could meet a lot of friends that way, and it’s even possible to strike up all sorts of relationships with people across the globe thanks to these games. Because of the freedom and the anonymity that the genre gives to its user, it’s highly unlikely that the popularity of virtual world simulators is going to wane anytime soon. In fact, it is most likely to build up into the future! There are many things that fans of virtual world sims can look forward to in the future. For instance, rapidly evolving technology in the Internet and in the development section can ensure that the future world simulators are going to have even better graphics and gameplay than existing ones. If you loved the graphics of games like IMVU, then you can look forward to more improvements in the future as the technology progresses. In fact, gaming technology has already reached the point in which virtual reality can be part of the gaming experience. It’s a very expensive technology, however, and only current-generation consoles are currently capable of supporting VR. However, in the future, we could find VR easily available and seamlessly integrated into the virtual world simulation experience – taking the “virtual” to a whole new level. Innovation is also an inherent part of game development, and you can find new ways in which players can enjoy a virtual world. The developers of these programs, after all, are outdoing themselves in trying to surpass the competition. You, the consumer, can totally expect these developers to output only the best for their virtual worlds in the future. You might even be able to start your own e-business within a virtual world in the future, for instance. Indeed, the future looks bright for virtual worlds.